a most enjoyable evening: film, feminism and delicious french beans. – teamgloria, inc.
a most enjoyable evening: film, feminism and delicious french beans. Posted on October 30, 2013 by teamgloria in places., things. we had a MOST enjoyable evening yesterday. you see who-we-are-in-RL happened to find out about a deeply interesting project and, well, decided to do something small in a supportive type gesture by taking the young brave souls behind the project out to Supper during their Road Trip across the United States interviewing people for their Documentary. the project was about Feminism and Film – both concepts dear to us. in fact who-we-are-in-RL did her undergraduate thesis on the film theorist Laura Mulvey concerning the works of Maya Deren (yes, yes, it was a long time before the role of a “digital media executive” was dreamed up in whomever dreams up these job titles and so we were doing Something Else but it’s all connected, in the end, in some splendid way, non?). yes. 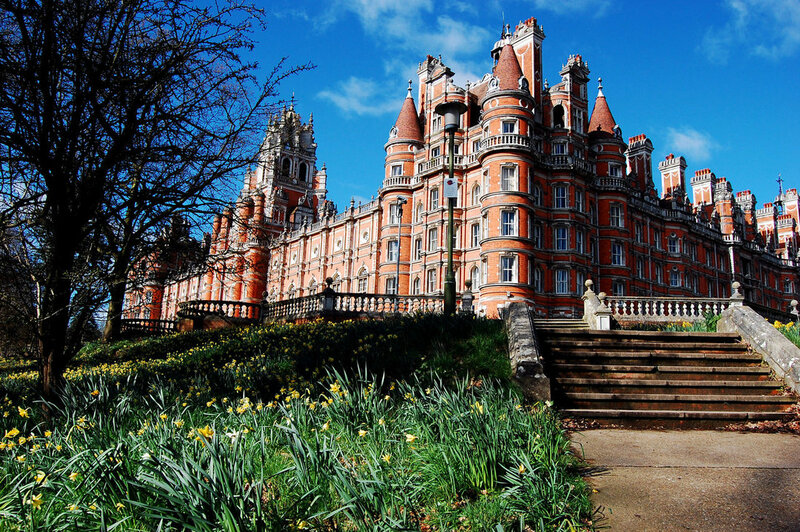 the University of London Royal Holloway College is magnificent (and yes, the building is pretty much what persuaded us from the Numerous Prospectuses we examined in 1987). 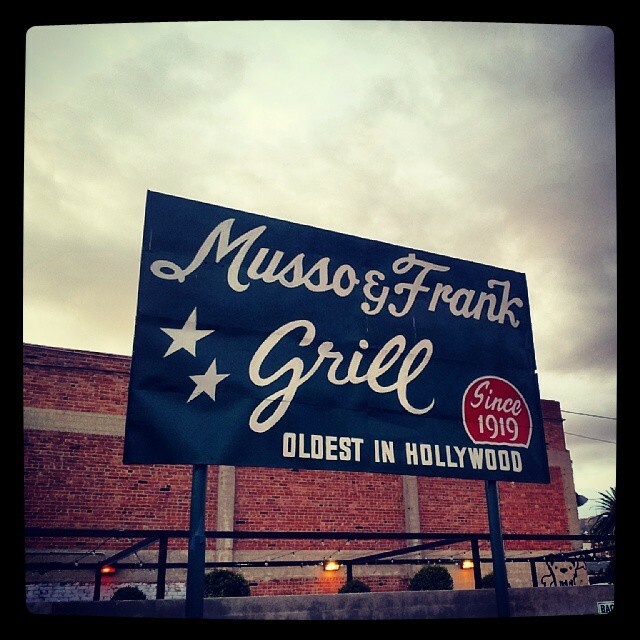 why did we choose Musso & Frank? because we felt that Dorothy Arzner might well have eaten there. and that makes it a feminist film homage indeed. 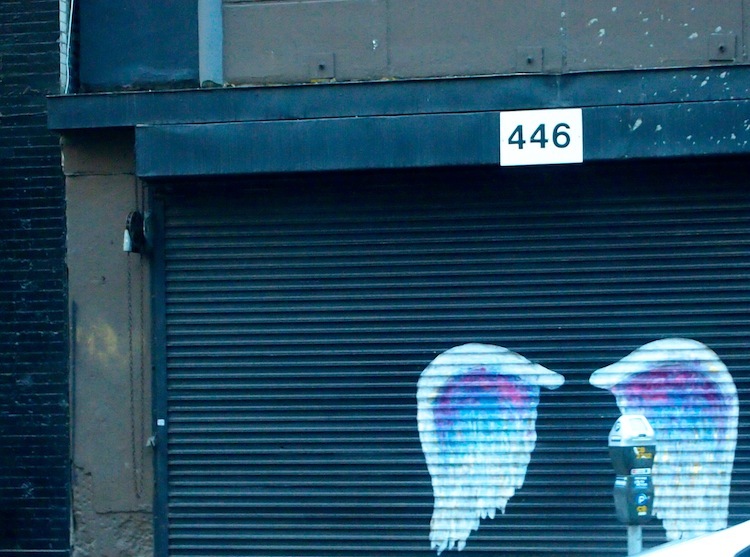 we had a lovely trip downtown and saw angels wings while stuck in traffic which gave us Pause for thought. but the angels wing sighting certainly helped. 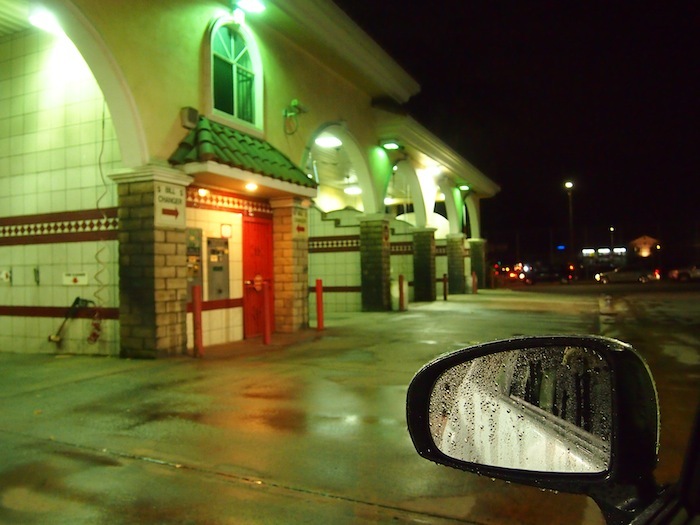 the car is washed (by hand, we’ll have you know – such FUN!) before we drive 100 miles south for a consulting gig later on today. highly recommend this book – a very slim tome (we adore a slim volume) and most interesting. 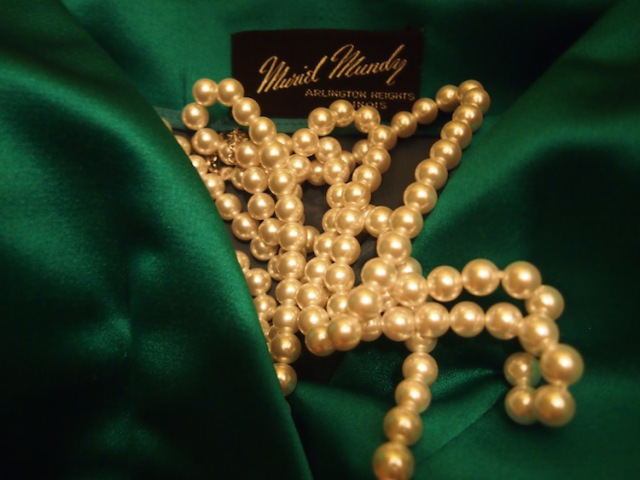 that *is* a lovely new green satin throw pillow. it didn’t work at ALL as an outfit. you know those people who find a Divine piece of fabric in a shop on their travels and then bring it home and ask a local seamstress to whip it up into a boudoir throw cushion? we have become one of those People. 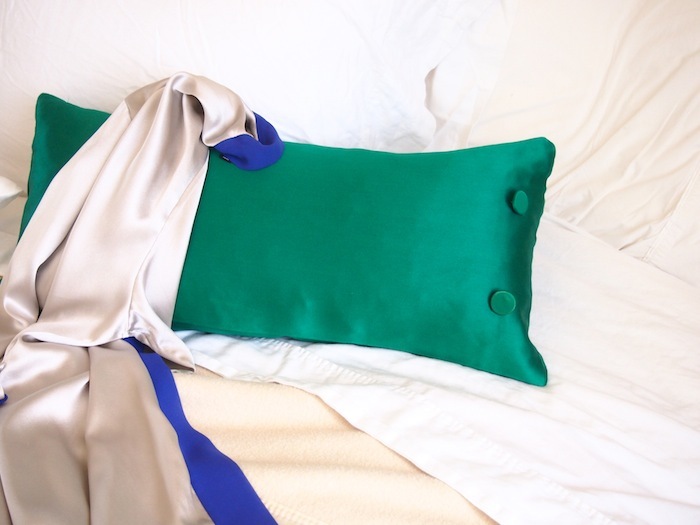 of course one can be into Feminism, Film and boudoir pillows-in-satin darlings. it’s chic, practical and forward-thinking. OMG Laura Mulvey!! And her famous paper on “the gaze”!! Reading that bit made me feel like running into a long-lost relative. Hugs. who knows how far our cult of Mulvey extends if it already encompasses US, UK and Korea! I see you like French, très bien! Very much quelle glam including the throw cushion. If you find the newsnight programme, a link please? Gosh how refreshing to read a post about feminism without being defensive or accusatory and just matter of fact, if you have time team do try and YouTube last nights newsnight not with pax man but it was about feminism and always an interesting chat amongst the girls! *searchingnow*! And thank you dear.